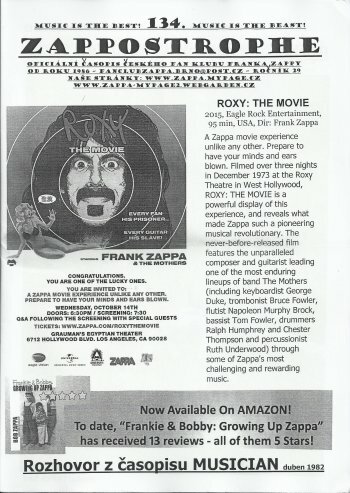 Where it says that the Pink Floyd / Zappa collaboration is included on a DVD !! "Pink Floyd - The Early Years 1965 - 1972"
Will this be the audience recording? Or did the recordings from the movie turn up? 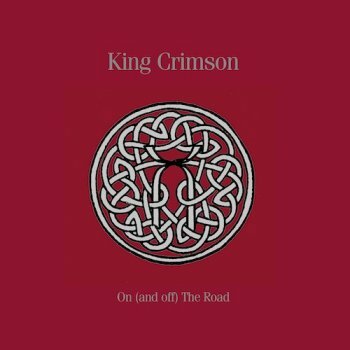 King Crimson fans are treated to another box release ! "On (And Off) The Road"
11 CD, 3 DVD-audio, and 3 blu-ray discs. You've probably already seen it, so here it is again: the album cover of the soon-to-be-released compilation :"Zappatite". 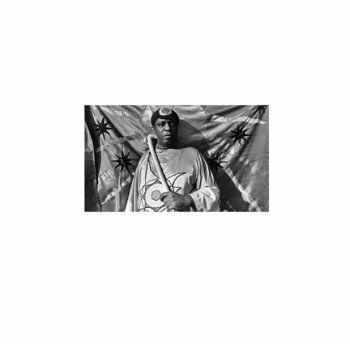 Officially licensed from Irwin Chusid of the SUN RA estate, Cold Spring’s Justin Mitchell negotiated rare and unreleased tracks from the SUN RA archive to be remixed and treated by Masami Akita. 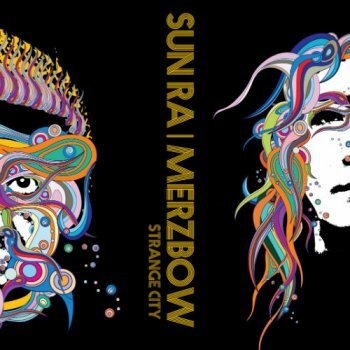 The tracks incorporate the jazz power of SUN RA, carried into brutal excess by the legendary Japanese artist, MERZBOW. This release is available in two distinct editions: 180gm black vinyl, with a limited 200 only for Cold Spring mailorder on yellow vinyl, both with download code – and a matt laminated digipak CD. Please note that both formats have completely different music! Free release stickers when purchased directly from Cold Spring! Adrian Belew's soundtrack to “Piper” is now available digitally through amazon and iTunes. One has to admit that Zappatika knows how to connect to their audience. Not only did they release "The Pony Suite" album to sell during concerts (you know, the album that featured Ike Willis, Denny Walley, Jeff Hollie, Craig 'Twister' Steward, and Ed Mann) but they also take care of their other merchandise. How about this "Zappatika" pin? "Live At Knebworth 1975" is a limited edition vinyl release on the Ozit Records label. Record Store Day 2016 release, on orange vinyl. In times where more and more artists have a hard time finding a record company and can hardly sell any cd's, I find it fascinating that other parts of the world have another approach. The last couple of years, Sony Music Japan has been releasing a number of CD's that have been produced using Blu-Spec technology, resulting in so-called Blu-Spec CD's. 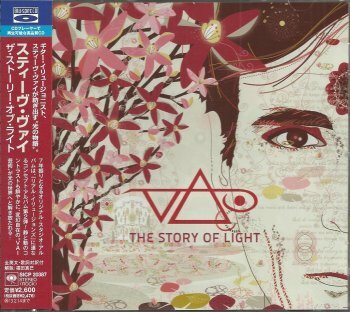 As I was too intrigued, I recently purchased my first Blu-Spec CD: Steve Vai's "The Story Of Light". Sounds pretty good. But so did the original / regular release. And, no, it did not come with an mp3-download code. Both got released in 2015. Initially released on CD by Keyhole, the album was also made available on vinyl. 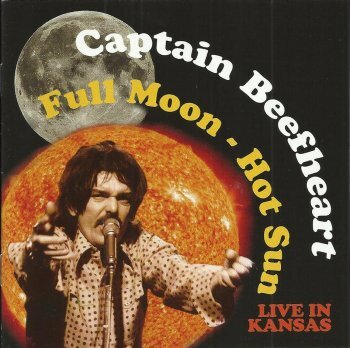 'Radio broadcast recording' of the 1974/04/22 Kansas concert. This vinyl edition omits the latest track of the CD. 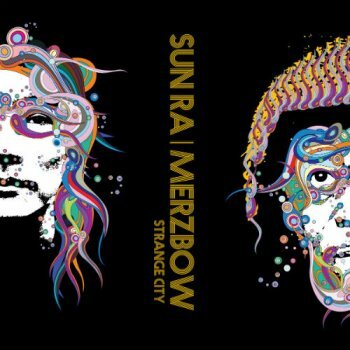 The Italian Sinner Lady record label released a 'new' Sun Ra album. Released in a limited edition of 79 copies plus 15 copies with folder cover and additional pictures. In fact, it's a vinyl version of the Evidence recorde label CD. 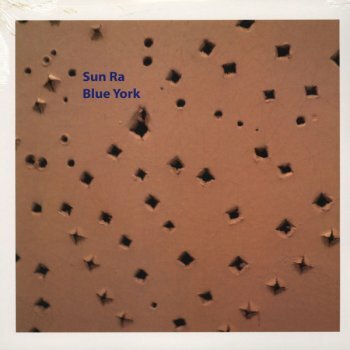 "A rare live performance of Sun Ra's "Friendly Love" suite – presented here at a level that makes for some of the most "out" material you'll hear from the Arkestra a the time – and a record that may well be one of Sun Ra's moodiest of the 70s! Ra himself plays organ and a variety of keyboards – all with a very dark quality that even makes the organ sound quite unique – and the reed players in the group have a wonderful ear for texture, with some mouthy performances at times that really blend with the group's strong use of percussion. Players include Kwame Hadi and Atakatune on congas, Eloe Omoe on clarinet, John Gilmore on tenor, Danny Davis on alto, Marshall Allen on oboe, and Danny Ray Thompson on baritone." At Zappanale, the video crew records a number of main stage shows. They've been doing this since 2007. Recordings of these shows a being made availabe at the festival ground, but only in a very limited edition of 20 or so copies. I like the concept. It offers the opportunity to re-live some of the concerts. I've already mentioned the DVDR-recording of The Muffin Men, Lex Bronkowitz Orchestra, The Magic Band, Hazmat Modine, The Grandmothers with the Yellow String Quartet, ZBMF, The Dorf, and Paul Green's Rock Academy. The last one in this year's series is a recording of the "Good-Bye" session. This is the final moment on the main stage where musicians from different bands and ensembles join for a jam or for playing some Zappa music. Rather chaotic most of the time, but it always carries some interesting moments and combinations as well. ZAPPANALE #27 - PART 13 - Z.E.R.O. Our American friends from Z.E.R.O. made a very impressive appearance at the Zappanale festival, a little while ago. Not only did they bring along their brand-new second album, they also performed at the expo in the center of Bad Doberan, and they did a dazzling show at the festival ground. The album is called "Z.E.R.O. Tolerance" and it's excellent. I know that I have mentioned it before but you really need to check this one out. 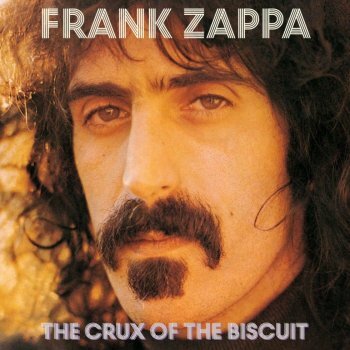 All compositions by Frank Zappa, but re-arranged, re-worked, and treated with a lot of respect (and humour) by Z.E.R.O. As a bonus, it features Ike Willis (on 'King Kong'). Here's a short fragment of the first concert that Z.E.R.O. did at Zappanale. It's an indoor gig / at the expo room : 'Sofa' and 'Who Are The Brain Police?'. Recorded by TPS. I was sitting next to TPS. If you listen closely, you can hear me have goosebumps. People who supported the funding of "Z.E.R.O. 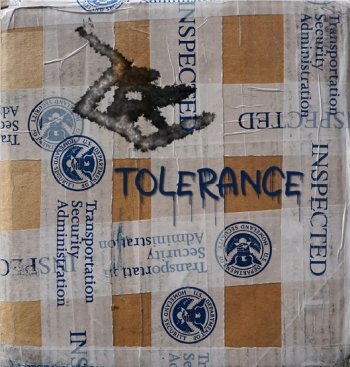 Tolerance" received a CDR with various bonus material. It includes a video with Ike Willis, plus some 20 demos and instrumental mixes of songs that eventually made it onto "Z.E.R.O. Tolerance". Here's another TPS video snippet. This time it's Alli Bach, performing Zappa's 'The Black Page', tap dancing. Cellist, composer and sound-artist Friedemann 'Fried' Dähn is working in classical, contemporary and electronic music as well as in media and video arts. In 1989 he completed his studies with Johannes Goritzki at the Düsseldorf music conservatory "with exellence", after having taken part in additional master classes with Boris Pergamenschikow, Heinrich Schiff, Michael Flaksman and Misha Maisky. Between 1990 and 1993 he has been cellist of the well known Ensemble Modern in Frankfurt, where he had the possibility to work with K.-H. Stockhausen, Ornette Coleman and Frank Zappa, to mention only a few. Fried Dähn & The Yellow String Quartet performed Zappanale #23 in 2012, at Zappanale #26 in 2015 and more recently, at Zappanale #27, in combination with The Grandmothers. 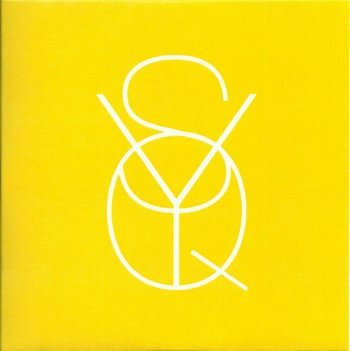 On the above pictured "YSQ" album, the ensemble performs Frank Zappa's 'Uncle Meat', next to pieces by Igor Stravinsky, Terry Riley (!!) and Joseph Haydn to name just three. Earlier today, while listening to the fabulous "Scambot 2" and "Inkling" albums, I added the data for this latest Mike Keneally album to the United Mutations Archives. Both discs are great, but especially the "Inkling" album surprised me. There will be a regulare, single CD version of this album out as well, but do yourself a favour and get this 2CD-edition. With a title like "Grumpy Lazy", you just know that it's an album that you need to check out. 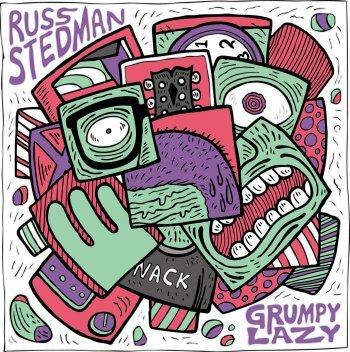 Russ Stedman's latest release "Grumpy Lazy" does not only show some great artwork, the music is pretty impressive as well. All original material, except for a REO Speedwagon cover, and Frank Zappa's 'Duodenum', you know, the Lumpy Gravy theme. 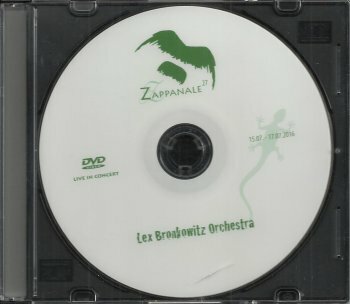 My personal highlight of Zappanale #27 was the concert by the Lex Bronkowitz Orchestra. Was it because it was the first band on the first day? Was it because I was still fresh and cheerful? Or was it because they played an astonishing set of mash-up Zappa tunes? Luckily, the concert got recorded by the Zappanale video team, so I was able to enjoy it once more this morning. Enjoy two little snippets from June and February concerts and check out the band's first album, if you haven't already. 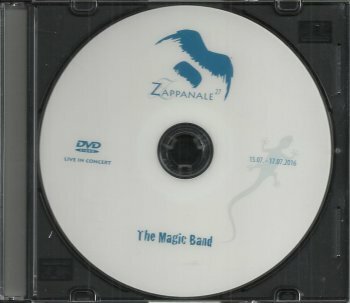 One of the highlights of the first day of the Zappanale festival : The Magic Band. 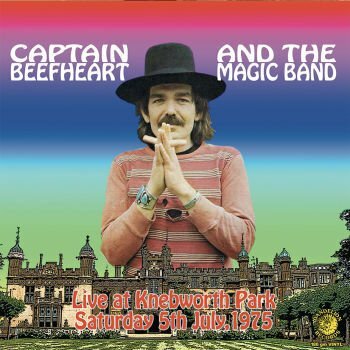 John French is the only original Magic Band member that's still in the band, but he's doing a superb job. The other guys in the band, Max Kutner, Eric Klerks, Andrew Niven and Brian Havey, did an excellen job as well. With special guest Denny Walley adding guitar on a couple of Van Vliet tunes. Recorded by the Zappanale video team and made available on a limited run of DVDR's. Here's a little snippet I found on YouTube. Who would have thought that, 25 years after starting a band to perform the music of Frank Zappa, those lads from Liverpool would have shared the stage with Jimmy Carl Black, Don Preston, Bunk Gardner, Ike Willis, Napoleon Murphy Brock, Mike Keneally, Ray White, Robert Martin and Denny Walley. The Muffin Men performed at the first day of the Zappanale Festival, July 15 and added Ed Mann to the list. The Muffin Men with Denny Walley and Ed Mann. And special guest Candy Zappa (Frank's little sister) joined the band on stage for 'Cosmik Debris'. The concert got recorded and was made available in a very limited edition during the festival. 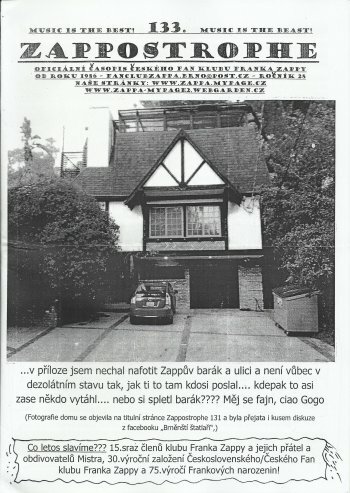 Our friends from the Czech Frank Zappa Fan Club recently put out two new issues of the Zappostrophe fanzine. It had been a while, but they keep going steady and have reached n° 133 and 134 !! It's all in the Czech ! 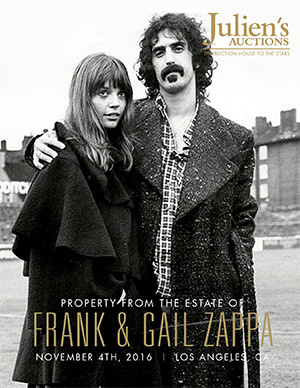 Issue n°133 focusses on The Zappa House and also has an article on Napoleon Murphy Brock's "George Duke Tribute Tour". Issue n°134 is all about the "Roxy The Movie" album, the recent Prague concert "Orchestra En Regalia", and it includes a lengthy interview as well. Tom Scott With The California Dreamers - "The Honeysuckle Breeze"
This 1967 album features Max Bennett , Carol Kaye , Jimmy Gordon, Gene Estes and Emil Richards, musicians that also worked with Frank Zappa. 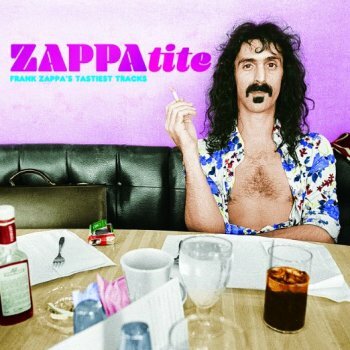 Announced on Amazon, "ZAPPAtite", a new Zappa album / sampler. NYC-based Hazmat Modine celebrated 10 years of touring with a short stop in Bad Doberan. It's all part of the mixture that Hazmat Modine presented at Zappanale. Most of the main stage concerts got recorded and were made available during the festival. It has been too long, so here's a little update on Anton & The Headcleaners !! MIKE KENEALLY'S SCAMBOT 2 SONG DIARY, SIDE FOUR! In the meantime, I did receive my copy of the EXCELLENT new Mike Keneally album, but I still need to add the data to te United Mutations Archives. Meanwhile, let me share part four of Mike's notes for "Scambot 2". Scambot 2 is now whirling around the globe to all who pre-ordered; thank you for doing that, those of you who did! The rest of you can now simply order it if you like, never mind the "pre." And for those who prefer the digital route, Scambot 2 is now officially available as a download (and, when ordered directly from the Keneally Store, the full digital booklet is included with purchase). 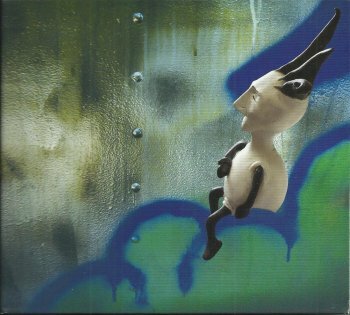 Again as a reminder, the album Inkling is only available with the 2-CD physical edition of Scambot 2. I hope those of you who've received it are as enamored of the album design as I am. Kudos again to Atticus Wolrab - he did truly beautiful work on this album and I am grateful. The feeling of the beginning of this song was trapped in my head for months before I started recording it. If I knew anything about Scambot 2, I knew it was going to have one song that started with a vibe like a slow early-ish Pink Floyd track, replete with long held organ chords. Didn't know what any of the chords were yet, I just had this vibe in mind for a long time, and in fact I think it intimidated me for a while, enough that I avoided concretely starting the song for quite a while. Finally one day I was in the studio with Mike Harris and had gone as far as I could on the other stuff I had been working on, and he said "what's next?" I knew I couldn't put it off any longer. I decided on a working title (which, of course, stuck) and an opening chord, and made my way from there. I wasn't fully satisfied with the fourth section though – it was forced, something to achieve this basically arbitrary length. It was a fine feeling about a year later when I officially shaved off the final section (at one point I'd shaved off the third section [the ultra-spacey bit that starts at 4:17] as well, in a fit of overzealous pruning, until Sarah saw me listening to it in headphones and blissing out heavily and asked me "what the heck are you cutting that section out for? You obviously love it!"). There was also a lot of chatter in my head about whether or not this song should have lyrics. Scambot 2 is obviously a more lyric-oriented album than Scambot 1 was, and I had decided to let the lyrics be more explicit about driving and reflecting the plotline. So I tried a couple of times to begin work on "Freezer Burn" lyrics, and got nowhere with it. Finally one day I imagined a lead guitar in that opening section playing the role of a vocalist – something probably inspired by Satriani. To generate melody ideas I improvised three takes of lead guitar, then carved away until I arrived at a set of melodic statements I enjoyed – then learned those statements, and we recorded a new performance of them as the main lead guitar (you will still hear fragments of the original three improvised takes, dancing around the main guitar). I give a special "yo!" to Jeff Berkley – I used his lap steel guitar as a major component of that ultra-spacey third part. I'd never played lap steel before, but it was a simple enough part that it didn't give me conniptions. There's definitely a major Steve Howe influence at play on this last section. The title and opening lyrics of this song have been around since I was writing lyrics for The Mistakes in 1995, so when I claimed that Scambot 2 has been under construction since the late '90s, I guess I was technically mistaken. But for many years, the song consisted of nothing more than that title and those opening lyrics, and I believed for a long time that I would never go any further with them, that those few components comprised everything intelligent I could say on the subject of abuse of authority. I did the music for the first part of this song (the lyric part) during the sessions for Scambot 1. I still only had the first few lyrics, but I wrote the music based on what I had, and presumed the rest would come eventually. I finally hit upon a set of lyrics that felt both germane to the plot and also managed to stand on their own. I think they work both as a sincere reflection of ideals I have and as a slightly parodic look at "cause"-oriented popular music. The second part, the long piano-based instrumental, is a piece I wrote on Fender Rhodes when I was 16 years old. Gregg Bendian and Doug Lunn really shine on this section. I think there are three Bendian performances superimposed in this section; choosing things that he played and mixing them "just so" was seriously fun, completely my idea of a good time in the studio. The brilliance of Mike Harris also comes to the fore here. Hopefully all you headphone people are having a good time with this one. This was actually recorded before the version of "Cold Hands" that was on Scambot 1. I recorded this one at home, except for the acoustic piano which was later overdubbed at Scott's place. It was done as a songwriting demo, but it had a feeling about it that was so different from the version I did for Scambot 1, and I always had love for this version. The band track (me, Musallam, Beller, Travers) was recorded at Tom Trefethen's Remora Recorders studio in 2008 during the same sessions that produced the basic tracks for "Life's Too Small," "Cornbread Crumb," "Popes," "The Scorpions" and "Tiny Red Bug." It was a very productive couple of days. Trefethen (who engineered the early albums of Ambrosia that I love so much) is a pretty legendary figure with very deeply ingrained ideas about how to do things in the studio, and he surely knows how to create a specific vibe – for one thing, he designed his studio to look like a cave, with rough walls resembling rock, and he takes great pains to mic things up according to principles he's held dear since the '70s. We recorded the basic tracks to analog tape, and later brought them into the digital realm for overdubs. I can REALLY hear the benefits of analog recording on all these tracks, especially in the drum sound, which is insanely satisfying to my ears. Lyrically this song was meant to invoke something of The Who's "Welcome" from Tommy, which was sort of an inside-joke reference to Scambot's status as a "concept album." But after a couple of attempts at writing the lyrics over a period of years, I finally realized exactly what this song should accompany in the story, and the lyrics emerged pretty effortlessly (with special thanks to Sarah for a couple of important suggestions that greatly improved matters). The song intentionally leaves Scambot 2 on a note of anticipation – it works as a conclusion, I think, but also leaves one hanging slightly (that last chord isn't a resolving chord, exactly). That works for me in two senses: there will be a Scambot 3, so I didn't feel like I needed to wrap things up definitively at the end of Scambot 2; and there's a whole other album (Inkling) in the same physical package as SB2, and I think the end of "Proceed" segues very nicely into the beginning of "Presence" on Inkling. It started in 2003 (Z#14) when Paul Green came to Bad Doberan and amazed the crowd with the kids / students that he had brought along. The saga continued at Zappanale #16, 17, 19, 20 and 21. Zappanale #25 saw the Wilmington School Of Rock in action, with Eric Svalgard. And this year, Zappanale #27, Paul Green returned, this time with his Rock Academy students. As always, it's a pleasure to see young kids, students, performing the music of FZ. It's not always as tight and structured as we would like it to be, but seeing young folks play this music is fun. Having Ed Mann and Denny Walley on stage as well, is a nice supplement. A DVDR video recording of the show was made available at the festival. The 27th edition of the Zappanale festival had a beautiful surprise: The Grandmothers (Don Preston, Bunk Gardner plus Chris Garcia) would be performing together with Fried Dähn's Yellow String Quartet, and would feature special guest Ed Mann. The combination Grandmothers / Yellow String Quartet had already been tested and approved in Oslo last year. At the Zappanale, the Yellow String Quartet was able gave Don and Bunk a lot of freedom. The quartet (plus Chris) kept it tight, while the former Mothers Of Invention could do their thing. The show got recorded on video and was made available on DVDR at the festival. Z.E.R.O. putting together a short Northwest tour in September to support our new CD - Tolerance. The line up for the Z.E.R.O. Tolerance 2016 Tour will consist of Ike Willis, Prairie Prince, a special guest all the way from Europe, (former keyboardist from Zappatika) Fred Händl. Remaining members include Rupert Kettle on Lap Steel/Guitar, Rob Morgan from The Squirrels on vocals. and Kevin Crosby (Pojama People, The Squirrels) on Bass/Ukulele. This is a special edition of Z.E.R.O. that may just be a one shot deal. SCULPT: EXCLUSIVE EXCERPT FOR NOWNESS - A FILM BY LORIS GREAUD (2016) from GREAUDSTUDIO on Vimeo. After their Zappanale concert (July 2015), Zappatika decided to tour The Netherlands and The UK. In support of this tour, the band produced this CD. The mini-album presented 'The Pony Suite', which had only been available as a download, plus two tracks from the Zappanale concert, plus one rehearsal outtake. The Zappanale pieces feature (flashback to Joe's Garage !) Ike Willis, Jeff Hollie, Craig 'Twister' Steward, Ed Mann and Denny Walley as special guests. That's tracks 2 and 3. Track 4 is the rehearsal outtake. The album is available from the Zappatika website ! The ZBMF project was started by Manu Eveno and Vincent Milleret. Actually, it was a project in three parts. Part one : getting Zappa Plays Zappa to perform in Blois, France. Part two : having Dweezil presenting a master-class (in cooperation with the music conservatory of Blois). 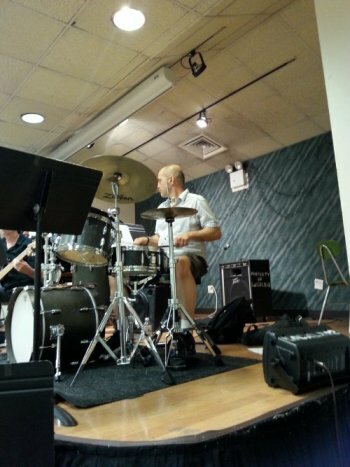 Part three: putting together a band to perform the music of FZ. It's this third part, that band, that took the road to Bad Doberan. The band had already done a couple of Zappa concerts in 2015 (also opening for the Band From Utopia). A concert at the Zappanale was to be the next step. ZBMF performed at Zappanale on Saturday. They brought a set of highlights from Zappa's career. The concert got recorded and was made available in a very limited edition on DVDR. If my info is correct, the band will be doing another Zappa concert next October, (2016 10 12 - Nancy Jazz Pulsations festival). July 17, 2016, German band The Dorf performed at Zappanale. First band to perform on Sunday, they played from 14h00 until 15h30. Orchestrated chaos. I thought it was great. As a little bonus, one of the pieces that they performed, included a number of Frank Zappa quotes. Here's a little fragment of The Dorf from a couple of years ago. The performance of The Dorf got recorded and a video DVDR was made available in very limited quantity during the festival. 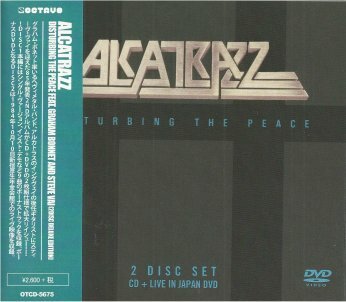 Alcatrazz' "Disturbing The Peace" got released a bit over thirty years ago, in 1985. Fronted and founded in 1983 by former Rainbow vocalist Graham Bonnet, the band had started out with Yngwie Malmsteen on the guitar. When Yngwie left after two albums, the band started looking for a new guitar player. So the next album, "Disturbing The Peace" featured a young Steve Vai who had previously worked with Frank Zappa and had just put out his "Flex-Able" solo album. Also in 1985, a Japanese record label released "Power Live", a VHS video tape that presented Alcatrazz in concert in Japan in October 1984, also with Steve Vai at the guitar. And if that's not enough, the "Disturbing The Peace" album includes 9 bonus tracks: an anti-drunk driving promo single, 7 guitar instrumental demos, and one Steve Vai rehearsal. One can order the catalogue. Two years ago, the Off Records label started re-releasing Pierre Vervloesem's albums. An excellent idea, as most (if not all) of Pierre's albums have been out of print for quite some years. 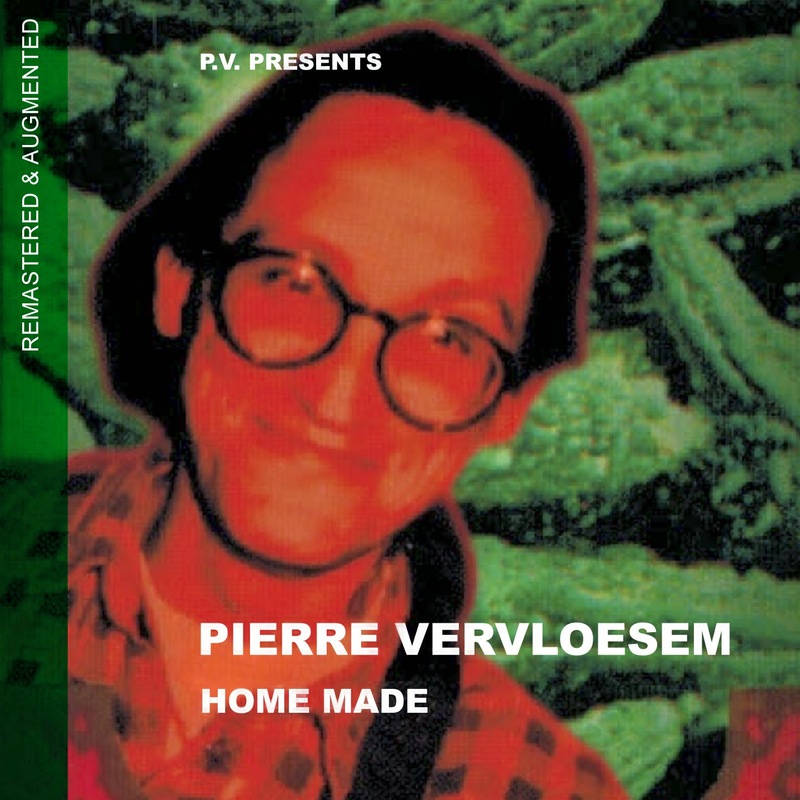 Originally released in 1994 on the Carbon 7 label, "Home Made" has been remastered and augmented, including three bonus tracks. I'm one of those lucky bastards that has the original album, but I recently downloaded this album anyway. It's a superb album. Required listening for melomaniacs and guitar aficionados. I hear a lot of Zappa-influences, but I imagine that Pierre has listened closely to Adrian Belew as well. Above all, however, it sounds like Pierre Vervloesem. I'm pretty sure that some of you will be glad to hear that "Home Made" includes '4/12/1993', a one-minute-of-silence tribute to Frank Zappa. Bonus tracks 'Zozorro (live)', 'Bon Courage (live)' and 'Phillip (demo)' are a nice addition to the lot. The Italian Jeanne Dielman record label recently released "Blue York". I've read on numerous places that this album contains unreleased material but, unfortunately, this is not true. "Blue York" includes the bonus tracks from the "Continuation" album. "Continuation" is a vinyl release from 1970. It got re-released on CD in 2013 with a batch of bonus tracks. All of these bonus tracks are now to be found on this new "Blue York" release. In times when the ZFT is making some new material available and various lucrative record companies are releasing so-called radio show broadcasts, there's still room for 'genuine' bootlegs. Here's "Dance Contest' that I found on one my recent trips. If you want to hear it in the best available quality, and for free, check out the Zappateers website. If not, there's still "Dance Contest". Frank Zappa made fun of politics throughout his entire career. 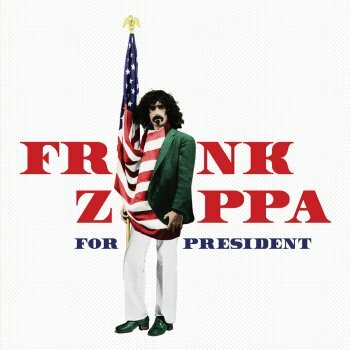 For "Frank Zappa For President", the Zappa Family Trust dusted off an alternate mix of 'Brown Shoes Don't Make It', a couple of 1988 live tunes, and 4 synclavier pieces. Zappa album #104 sheds its light on the 1974 "Apostrophe (')" album. The disc presents 15 tracks: alternate mixes and other pieces of the puzzle that were used to construct the final album. Exellent liner notes by Simon Prentis on the different tracks but also on the Project/Object and on the way that FZ put together his pieces and albums. the story of "don't eat the yellow snow / st. alphonzo's pancake breakfast"
As a little extra, here's Lionel Hampton's 'Midnight Sun". Pay attention at 00:16. And then listen too Zappa's 'Nanook Rubs It' from 00:10 on. Dweezil joined Deep Purple on stage to perform "Smoke On The Water". But apparently they also played 'Peaches'. 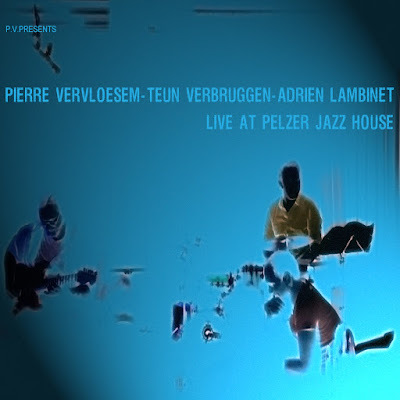 "Live At Pelzer Jazz House"
Perfect for a Saturday (or any other day of the week). Download-only, but only 3 € !! 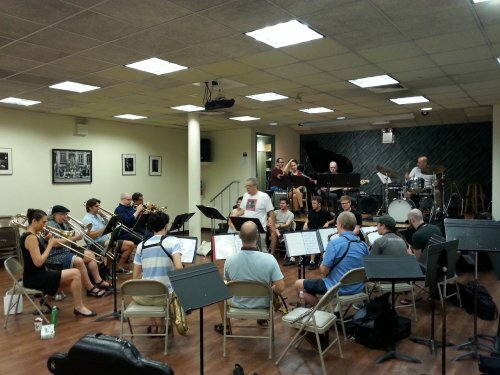 Tonight, August 6, 2016, the Ed Palermo Big Band will be performing at the Falcon in Marlboro, NY. The show is entitled "Commencement Ceremony" and it something that you need to see. There's a quite spectacular story accompanying this announcement. One that I already shared with my Facebook buddies a couple of days ago, but it does add some credibility to the above statement: this is a show that you need to see. First, let me tell you a bit more about my unbelievable story. Last week we went to Manhattan on a city trip. Five days. Tuesday to Sunday. So it's Thursday, July 28. We had just done some sort of hop on hop off bus tour through Harlem and The Bronx and we wanted to go for a bike ride in Central Park (you know, tourist stuff). As it was hot outside we first wanted to go to the hotel to freshen up a little bit. Must have been around 3 pm. Walking down 8th avenue, in Manhattan, I saw someone with a Zappa t-shirt going in the opposite direction. I yelled "Zappa t-shirt!!" which I thought was great as I was wearing one myself as well. 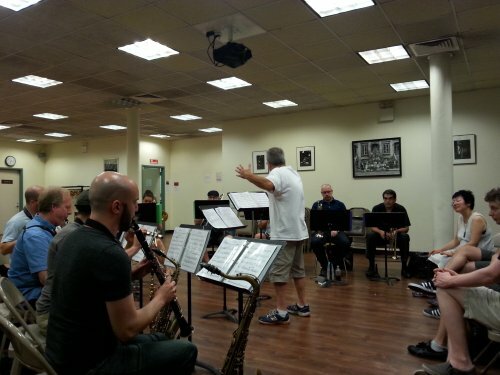 After a short chat, Ed invited us to a rehearsal of the Ed Palermo Big Band later that very same day. A bit later that very same day, Inge and I locked the kids in the hotel room (they're 15 and 20 and had a big tv-screen at their disposal. 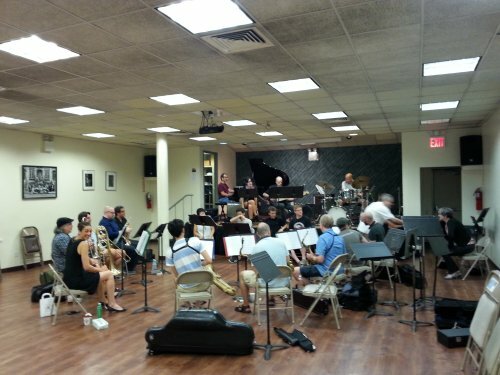 There's no child abuse involved), and went to the rehearsal of the Ed Palermo Big Band. 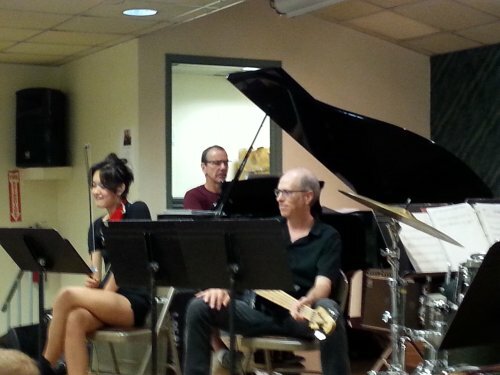 Ed and the band were rehearsing the "Commencement Ceremony" concert. The show that they will be performing at the Falcon (Marlboro, NY) tonight. Piano, violin, bass and drums were up the stage while the horn section was placed in half a cirle, facing the stage. There were a couple of chairs in front of the stage for some students / colleagues of Ed, and a bit aside were the chairs for Inge and me. Ed introduced us to the band and told us that we were going to have a private concert. The rehearsal (or should I say show) was spectacular. 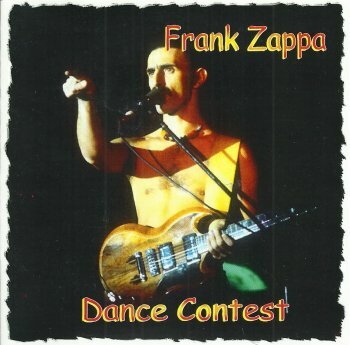 Lots of musical mash-ups, including some superb Zappa music, and a lot of hilarious moments. I can't give any details as that would spoil the surprise for those that will be attending the concert, but it was amazing. Two hours of goosebumps, 21 pictures and a couple of movie snippets later, at least two very happy people left the building. Thanks again, Ed. We had the time of our life. Frank Zappa & The Mothers of Invention released their first album in 1966: Freak Out! In many ways, it was a milestone of musical history in terms of both music and recording technique. Before Freak Out! who would ever have dared to think that doowop and rhythm & blues could seamlessly cross into classical avant-garde? Not to mention the satirical lyrics, the artwork, Suzy Creamcheese, the multiplicity or the conceptual continuity. AB launches a new series: CALS 50 years! In this series we celebrate the fiftieth anniversary of a number of legendary albums with an intimate listening session. On each occasion, the Golden Anniversary will be introduced by an expert/fan of the album in question, after which the classic will be heard under the most optimal circumstances. The 2009 album, "Blues For Tony", now on Bandcamp. Flat Earth Society feat. Mauro Pawlowski, performing Zappa at Ghent jazz. in half an hour, Radio 4 will broadcast the concert by Reichsteiner and Caget, performing Zappa, a.o. Here's a link to the brochure. The concert is mentioned on page 17. Here's a clip of what one might expect. FAT (Raphael Preuschl / Alex Machacek / Herbert Pirker) will be performing at the OutReach festival as well !! Drummer and composer Xavi Reija has a new album out. The Xavi Reija Trio, featuring Dusan Jevtovic and Bernat Hernandez, recorded on tour : "Live At RZZ Barcelona". After this, we will have the first two releases of our new sublabel called "TOOK". TOOK is a label created by us with Hardy Fox to present limited edition releases by ex Residents composer Charles Bobuck. 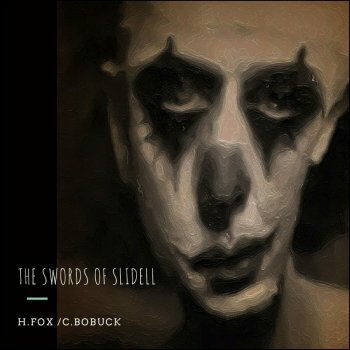 The first two items will be a soundtrack album to the iBook "Swords of Slidell", and a CD single entitled "Later tonight", a cover version of a song by Pet Shop Boys. Both will be limited to 300 copies only and can only be ordered through the Klanggalerie web shop. 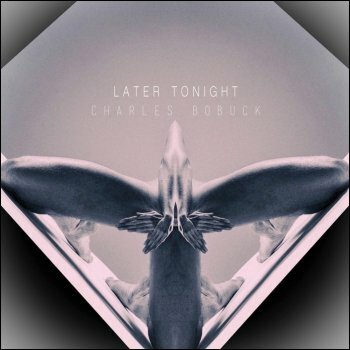 After this, there will be a regular new Bobuck album, "Bobuck plays the Residents".